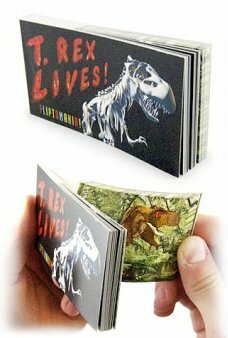 Kids of all ages – even “adult kids,” are fascinated by dinosaurs. 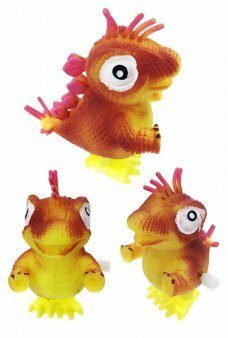 To foster their enthusiasm, we offer a complete line of dinosaur toys that will captivate your youngsters and fuel their curiosity around these ancient beasts. 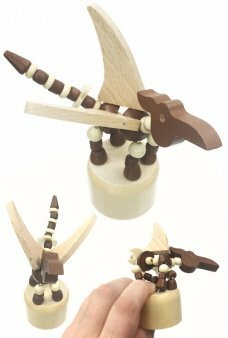 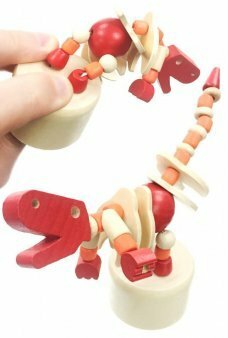 Whether your kids are enthralled by the quick-moving Velociraptor or the lumbering Brontosauruses, they won’t be able to get enough of our dinosaur toys. 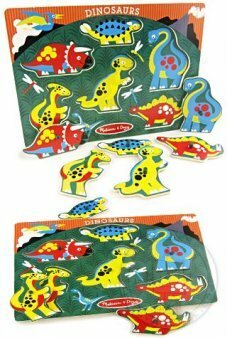 So satisfy the Dino-fanatics in your household by surprising them with any of our variety of dinosaur-themed toys. 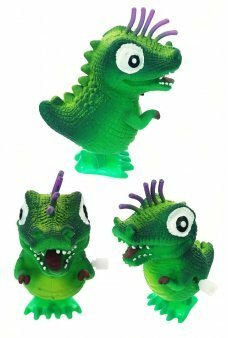 They’ll roar with excitement every time they pick up one of the dinosaur toys you select, and there is no doubt that the next time you hear “there’s a T-Rex chasing me!” you will know that you’ve found the perfect toy for your little adventurers. 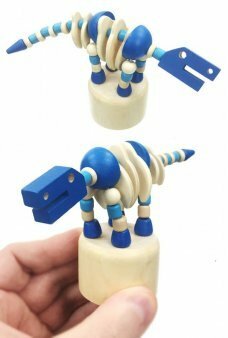 Our cute blue Brontosaurus Ben features moving feet and tail. 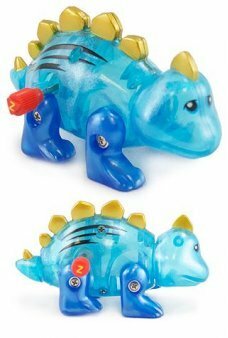 Just wind up our blue dino and he will struggle to walk on..
Our happy Diplodocus plays on a fast set of wheels. 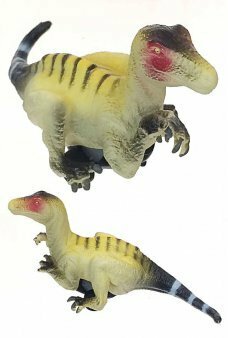 Just pull back on our dinosaur’s wheels and he ferociously zips ahea..
Our frightening Velociraptor rampages on a fast set of wheels. 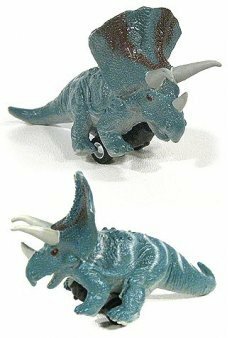 Just pull back on our dinosaur’s wheels and he ferociousl..
Our terrifying Triceratops rampages on a fast set of wheels. 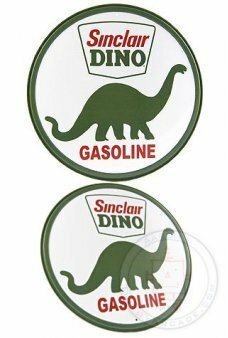 Just pull back on our dinosaur’s wheels and he ferociously ..
Our menacing T Rex rampages on a fast set of wheels. 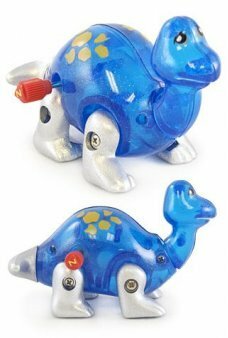 Just pull back on our dinosaur’s wheels and he ferociously zips ahe..
Klaus the Brontosaurus is the clever combination of a robot and a dinosaur! 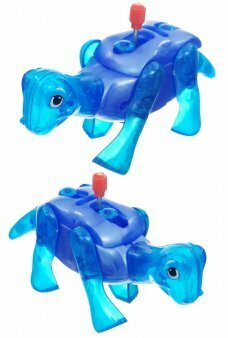 Just wind up our blue dinosaur and he scampe..
Hank the Hippo is the clever combination of a robot and a Hippopotamus! 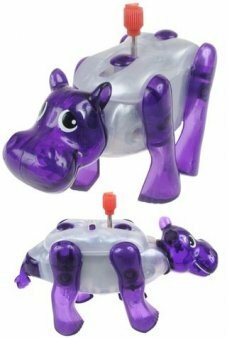 Just wind up our Purple Hippo and he scamp.. 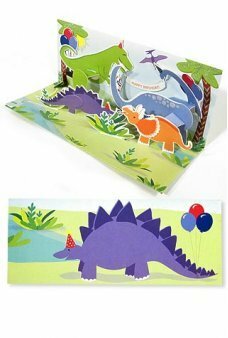 The sparkling red cover of this jolly Christmas pop-up card features an illustration of Santa in his train. 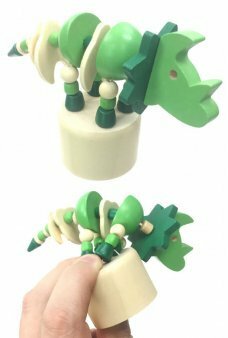 Just open th..
Our Brontosaurus Dinosaur wants to leave the museum to wiggle and dance with you! 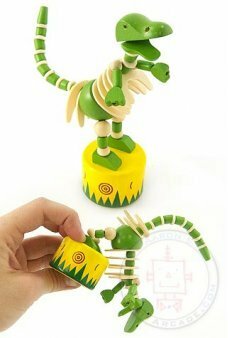 Just push his wooden round base t..